Now here’s a fun one: Blue River Technology is an 18-month-old company out of Stanford University that uses computer vision to kill weeds. The company’s first product is built for lettuce crops. Blue River analyzed nearly one million photographs of lettuce to learn how to recognize the plant. Its prototype device has both a camera and a killing mechanism three inches behind. So when the camera recognizes a plant that’s not supposed to be in a lettuce field, a mechanical knife cuts it out or herbicide sprays down. The idea is that it’s very precise, so it’s cost-effective and minimizes the use of herbicides. 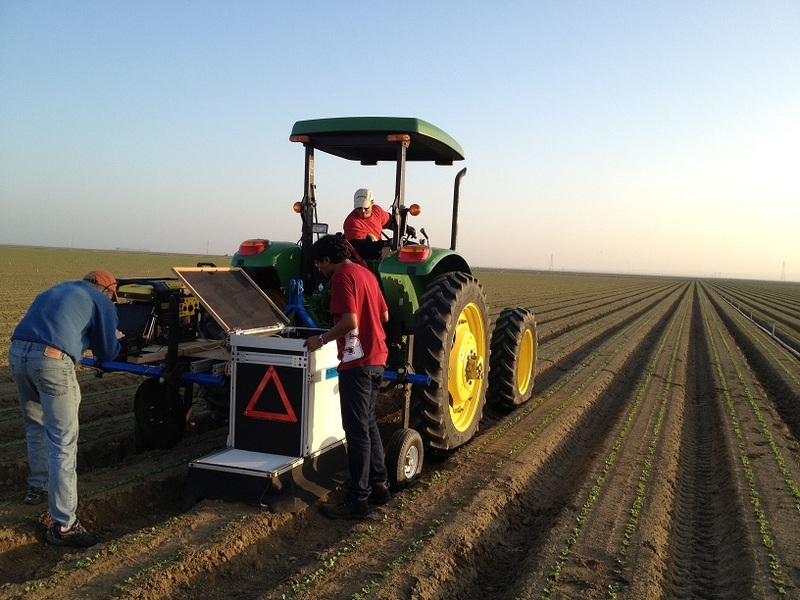 Sunnyvale, Calif.-based Blue River has just raised $3.1 million in Series A funding led by Khosla Ventures, which also invested in other agriculture tech start-ups such as The Climate Corporation. Other Blue River backers include Steve Blank and Ulu Ventures.